5 Ways Writers Kill Their Credibility Online 5 Killer Grammar & Punctuation Errors That Will Sink Your Reputation … And Ways You Can Fix Them! I self published SURVIVOR last year, which documents my journey through a serious, life-threatening illness. It’s not really sold a huge amount because a) I’ve not really pushed it too hard and b) it was a super-rushed release and I didn’t plan any of it! (Lesson learned). It’s consistently got 4 and 5* reviews on Amazon regardless and I know that’s it’s a really good example of how I write, so I wondered whether or not it’s worth sending to agents. I’ve got ideas/plans for follow ups, but wonder if I should just hold onto them for self-publishing as well or if there’s anything to lose by pinging copies and ideas over to selected agents/agencies? First off, I’m no expert on self publishing, as I’ve said on this blog before. That said, I’ve obviously had lots of dealings with agents over the years, via London Screenwriters Festival and B2W, as well as my own stuff. So without wanting to speak *for* agents (or indeed publishers/ book editors), I believe I can offer a general overview on this. You may want to ask others too. The short version is this: yes, of course you can use your self-published book to try and hook an agent. If it sold spectacularly well, then all the better. But even if it didn’t, then it *could* act as a sample of what you can do, why not? As I am always at pains to point out, anything is possible and no one can truly say “this is the way it works” … Because as soon as someone does, someone else goes and does something nobody predicted. … My take? Given SURVIVOR is self published, you’ve most likely shot your load so to speak (indelicate I know, but what else do you expect from me?? Arf). 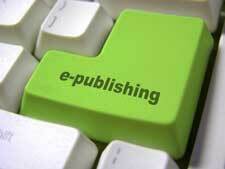 It’s called self publishing for that reason – you’re on your own. Agents tend to only get involved with self published authors if they can see something in it for them, principally ££££££, hence the EL James of this world getting a “traditional” deal further along the line (and for all three books in the GREY series, more on this in a minute). You need to be a phenomenon, for whatever reason. But regardless of whether you’d self published or not, SURVIVOR is not a phenomenon. Not because it’s not good, I’m sure it’s excellent, but as you mention, SURVIVOR has not sold many copies. Also, if you’ve self published the first one in a series, which you have, any further follow ups will need to be self published too. It’s a question of starting as you mean to go on. As I understand it, an agent – or indeed publisher – will generally not pick up a book in a series that started as self publishing (though in the case of genuine phenomenons like EL James, they will pick up the whole lot). BTW you should note the above is no big conspiracy against self-publishing. Look at it another way: it’s part of the human condition. People want the “exclusive”. Follow agents and book editors and hashtags like #pubtip, #querytip and #askagent on Twitter for more info on this and other ways agents and book editors approach the industry. Also, SURVIVOR is autobiographical, which tends not to sell well unless you are a phenomenon yourself (ie. famous and/or renowned *for some reason*). Why the problem with autobiography? Because people feel in this internet age they can get autobiography from “little people” like you and me for FREE and the likes of blogs, vlogs on Youtube and Twitter mean they do. As a sample, would SURVIVOR do you any harm? Probably not, but I doubt an agent would rush to look either. Again, this is no reflection on you or your writing. It’s just difficult to get agents to read stuff, full stop. Not because they want to keep new or self published writers out, but because they’re swamped with submissions. Don’t forget, they get entreated to read self published novels and autobiographies every five minutes, so it’s hard to stand out from the crowd on this. And half the battle IS standing out from the crowd. It really is as simple as that. Keep self publishing SURVIVOR and its follow ups yourself if you want to. But you have experience of something genuinely remarkable: most of us have no clue what going through serious, life-threatening illness is like. Those of us that do know what it’s like, struggle to find works that reflect such a thing with emotional truth (because writers are essentially making it up, no matter how hard they try or how much research they undertake). You can offer that remarkable quality in fiction. That’s right: FICTION. This is where your REAL experience becomes valuable, because not everyone can represent a fictional scenario with characters experiencing the kind of emotional truth you can, because you have been through it. And whilst you *could* make it for any audience group, I would suggest Young Adult (YA): Female, 14-20 year olds. Why? Because teens are already isolated from adults as they make their various attempts to grow up, which is hard anyway … So now imagine a 15-16 year old going through a serious, life-threatening illness of some kind. A 15-16 year old who must confront her mortality; who is in hospital when her friends are experimenting with boys and make up and drinking and “normal” lives; a girl who must learn to do all the difficult things you did, all over again. BINGO. But to really take advantage of this experience and bring it to the YA age group, consider this: your HOOK. What is it that *makes* your story? In GUT DECISION, the *point* of my story is that Lizzie is met with *all* the possible consequences of her decision to keep the baby (or not). Most narratives about teenage pregnancy only really deal with *having* the baby and if they consider abortion at all, our protagonist never goes through with it, or if she does, she becomes a “tainted” woman. I wanted to do something different with GUT DECISION and one thing readers have given me feedback on, over and over, is how much they appreciate the fact I have not made it a “one sided” issue like so many teen pregnancy narratives before it. I’ve written before on this blog how I was given the great advice, “Your book is a movie”. When considering Lizzie’s dilemma in GUT DECISION, the scenario was in part inspired by the movie Sliding Doors. Sliding Doors is about consequences; so is GUT DECISION. This is on purpose, though their outcomes are very different. By deciding what movie my book was “like”, I found my way through all the different things that could happen in the story and discovered its hook, that elusive *thing* that sells one’s story “off the page”. The Hook is the good stuff. It’s the thing that gets agents or editors all excited. Knowing your audience and bringing them something they’ve never considered before, in a way others have not attempted. This is what agents and publishers mean when they talk about a “new take” or “the same … but different”. Take that “pre-sold” notion, whatever it is — and flip it on its head. Blow our minds. Make us think, “Why the hell didn’t **I** think of that? ?” Because the best ideas are OBVIOUS. So, if you want to write SURVIVOR as a YA novel, why not go for it! Here’s how GUT DECISION broke down at pitch level, including a free .doc novel pitch template to download. Here’s more articles about writing the novel. And here’s the novel writing section of The B2W Required Reading List. One Response to Question: Can I Use My Self Published Book To Try & Hook An Agent? I would take that great advice from you.